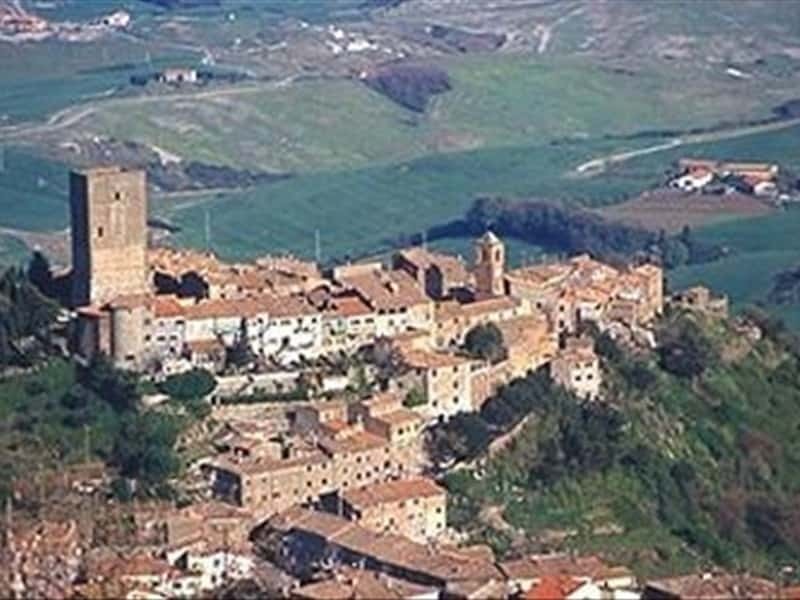 Montecatini Val di Cecina is a small town in the province of Pisa, founded in 960 with the name of Castrum Montis Leonis, by the Belforti family, coming from Germany following emperor Ottone I. The actual place name is already mentioned in a document dated back to 1099. Among the most important monuments we have to mention the Church of San Biagio, built in 1356 in Romanesque style, with a XV century belltower, the Belforti tower, built shortly after the year 1000, the XIV century Palazzo Pretorio, having a porch with arches and vaults set on columns in Ionic style, and the Oratorio di Santa Barbara, near the mine of Caporciano. In the nearby Sassa, the stone that keeps "Christ's footsteps" can be observed: according to the legend, Christ appeared to Peter who had looked for a refuge in those places to avoid Roman persecutions. This town web page has been visited 39,757 times.